FRAMED PRINT. 22x18 inch (56x46cm) Framed Print with Black Satin with Off-White Digital Mat. Artwork depicting HERMES TRISMEGISTUS (= thrice- greatest), perceived by Neoplatonists as the presiding deity of alchemy, possessing magical and oracular powers. Shipping from USA. 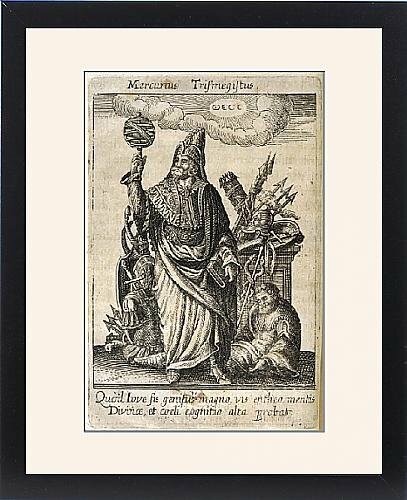 Artwork Description... HERMES TRISMEGISTUS (= thrice- greatest), perceived by Neoplatonists as the presiding deity of alchemy, possessing magical and oracular powers.